As you may know, MEFA is charged with a public service mission to help students and families throughout the Commonwealth plan, save, and pay for college and reach financial goals. This mission is big, and not something we can possibly do on our own. Fortunately, we have forged deep ties into various Massachusetts communities and with partner agencies and like-minded individuals to expand our reach and accomplish our mission. Here’s a spotlight of one organization and a leader within its ranks who’s helping students and families as they plan for college. Donna Connolly said that she always knew she wanted to be a “helper.” As a graduate of Assumption College with a degree in rehabilitative counseling, she first worked in a position helping adults with mental health challenges. She then entered the world of education as a Talent Search Advisor at Worcester’s South High School, and has continued since then to expand college access to the students of Worcester. She currently does this as the Director of Youth Access and Career Planning at MassEdCO, the Massachusetts Education & Career Opportunities, Inc. in downtown Worcester. She also works with MEFA as a presenter and ambassador. She is one of our lifelines to the Worcester community, and is a tireless advocate and “helper” for those who need it. For more information about MassEdCO, visit their website here. 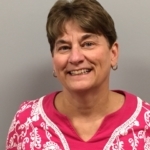 Donna Connolly has 21 years of experience with MassEdCO and currently serves there as Director of Youth Access & Career Planning. She has a BA in Social & Rehabilitation Services from Assumption College and an MS in Non-Profit Management from Worcester State University.